Jarryd Summers struck out 10 in seven innings, and Mark Lamm made his effort stand up with two scoreless innings of relief, as Waynesboro posted an important 4-3 win over Front Royal at Mathers Park Wednesday night. The win pushed Waynesboro ever closer to clinching a playoff berth. 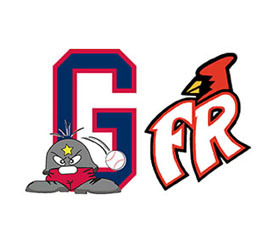 With Woodstock’s 8-6 loss at Rockbridge, the Generals reduced their magic number to clinching a playoff bid to three. Summers (2-1) was solid all night long, giving up three runs on five hits to go with his 10 Ks. Summers has now struck out 23 in 19 innings pitched this season. Lamm struck out three in his two innings out of the pen. The 6-4, 215-pound righty from Vanderbilt has yet to give up a run in nine appearances and has struck out 20 in 14 and a third innings. The Generals jumped out to a 2-0 lead in the first off losing pitcher Blake Ford (2-3) with four consecutive hits with two outs in the inning. Drew Turocy and Grant Fillipitch hit back-to-back doubles, followed up by a pair of singles by Chase Worthington and Cody Hudson, to get the early runs on the board. Front Royal tied it at 2-2 in the second on a two-run triple by Sean Jamieson. Waynesboro answered in the bottom of the second with a sacrifice-fly RBI by Drew Turocy that scored Alan Stoupa. The lead was extended to 4-2 in the fifth when Chase Worthington led off that frame with a double and came around to score on an A.J. Albee error on a grounder off the bat of Hudson. The Cardinals tightened things up in the sixth when Jamieson picked up his third RBI of the night by drawing a bases-loaded walk from Summers, who got out of that inning by striking out Steve Rogers one batter later to strand three Front Royal baserunners. The Cards got two on with two out in the seventh off Summers before the Generals pitcher induced an inning-ending grounder off the bat of three-hole hitter Matt Holland. Lamm allowed just one baserunner in his two innings on the mound, a two-out eighth-inning walk to Jamieson, before he K’d Rogers to end that threat.